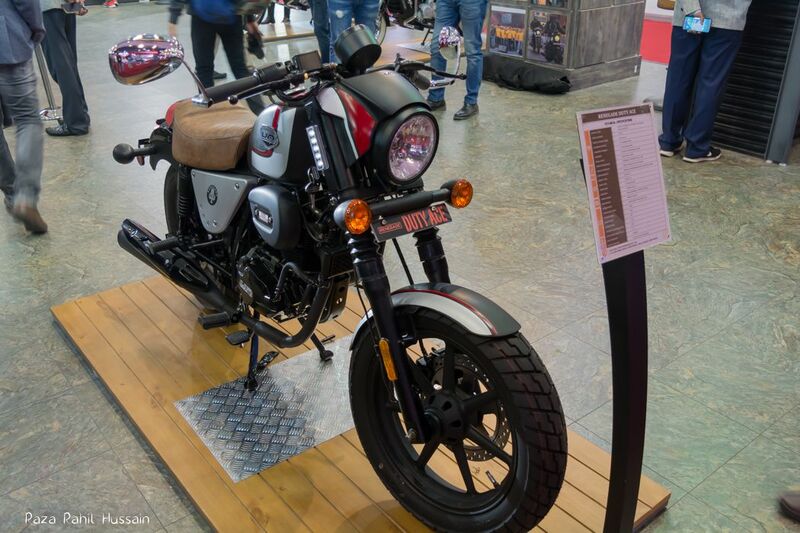 UM Lohia Two Wheelers has launched the two new bikes at Auto Expo 2018. 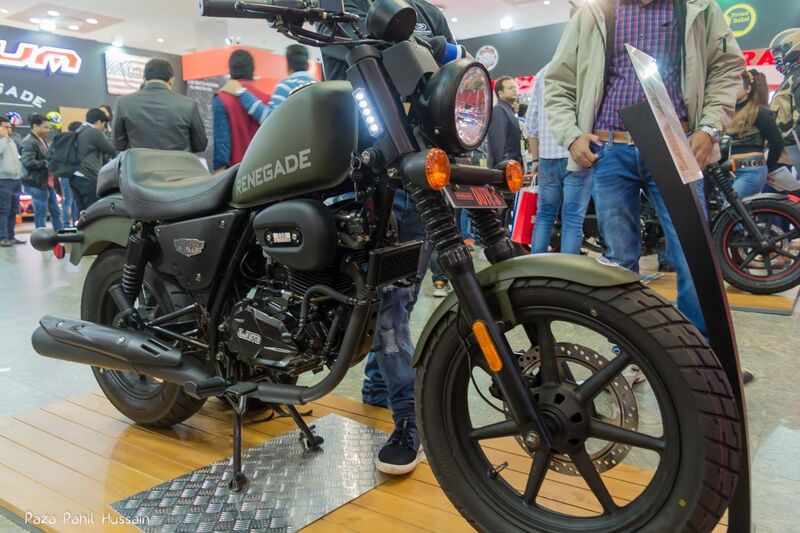 Both Renegade Duty S and Renegade Duty Ace is affordable bikes that sit between Bajaj Avenger and Royal Enfield Bullet. 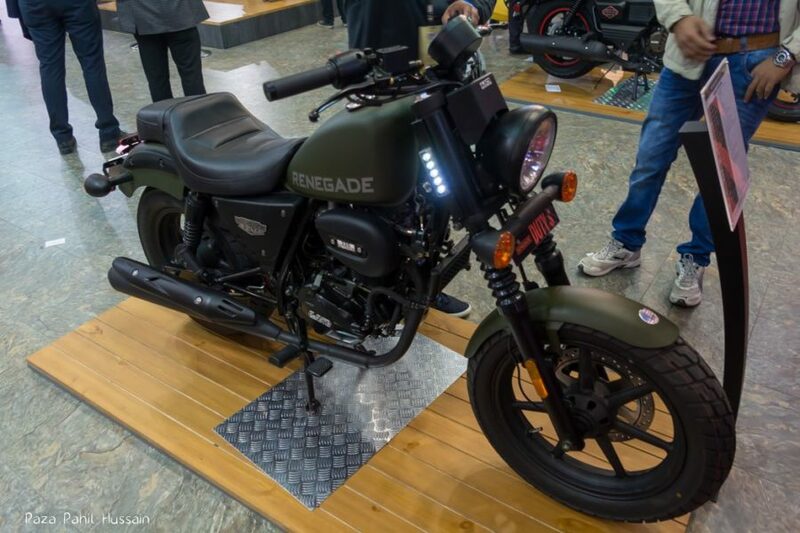 UM Renegade Duty S and Duty Ace come with a 223cc single cylinder engine mated with the 5-speed gearbox. 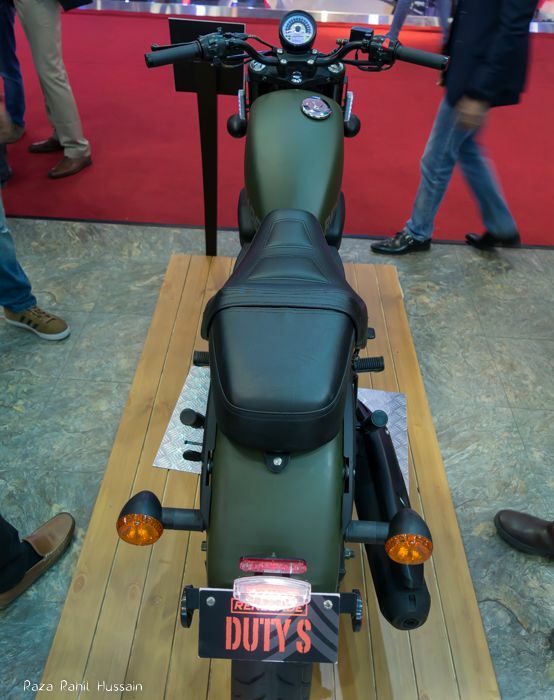 The Oil-cooled engine produced maximum power of 17 PS @ 8000 RPM and maximum torque of 17NM @ 5000 RPM. UM focus specially on the weight of the bike so that power to weight ratio can be increased. 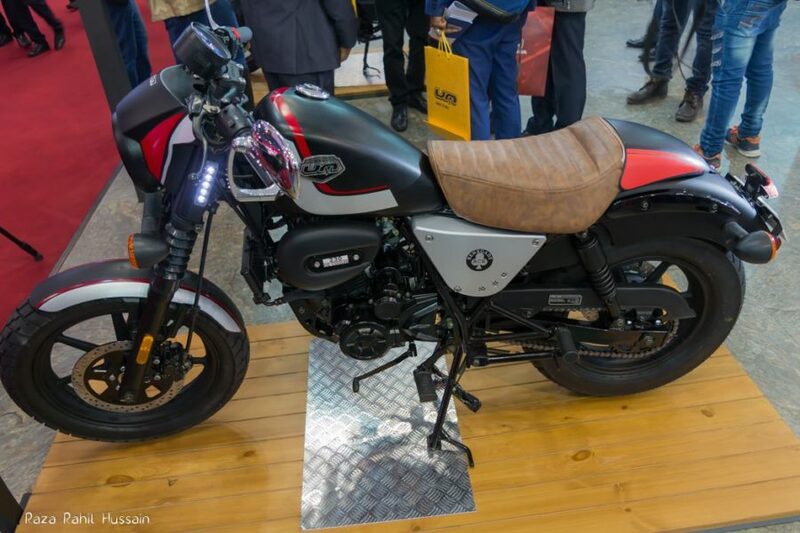 The bike is designed for both on-road as well as off-road terrain. 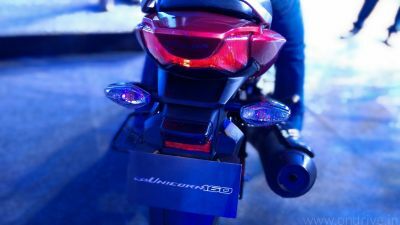 Both the bikes come with Digital Speedometer with gear indicator, Twin Hydraulic with spring suspension, front disc brake and fuel mileage of 41 kmpl.